North America Beacon Technology Market is estimated to be over USD 100 million in 2016 and is expected to register a lucrative growth between 2017 and 2024 with a CAGR of over 70%. This excellent growth is attributed to the growing popularity of proximity marketing solutions among retailers in major economies including the U.S., China, and across Europe. Beacons act as a valuable bridge between the digital and retail space with continuously growing mobile device usage for shopping purposes. As beacons work with mobile apps, there is a huge scope for mobile apps to increase their engagement and retention rates. With effective enhancement and management of the UX, these applications can play a pivotal role in enhancing the shopping experience. The iBeacon platform held the majority market share of over 60% in the North America beacon technology market in 2016 and is expected to maintain the market dominance over the forecast period as the platform emerged as a pioneer in commercializing the beacon technology and experienced widespread initial adoption. With Apple investing consistently in R&D for further developing the platform, its adoption is likely to grow steadily over the forecast timeline. 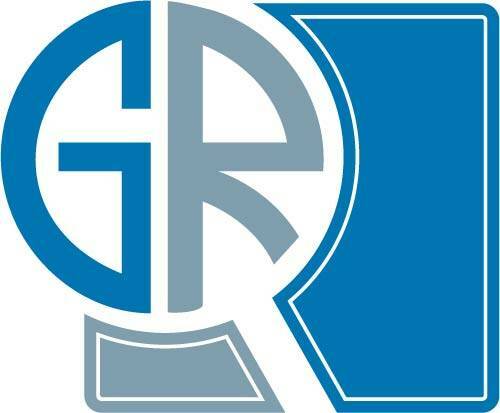 The retail sector is projected to account for the majority share of over 50% in the North America beacon technology market by 2024 due to the large-scale deployment of beacon solutions in the retail sector, high penetration of smartphones in the U.S. and Canada, and a rapidly growing e-commerce ecosystem. The U.S. will dominate the beacon technology market in North America over the forecast period due to the large-scale adoption of the technology in the region, especially by the retail sector. Many large retailers in the U.S. such as Target, Walmart, and Macy’s have deployed beacons in their stores across the U.S. to boost their location-based marketing strategy and offer a personalized shopping experience to their customers. The retailers in the region are increasingly deploying beacons in their stores to offer a modernized shopping experience to the shoppers. For instance, in September 2014, Macy’s announced that it will expand the network of iBeacons to all of its stores in the U.S. by deploying over 4,000 devices. This deployment was intended at creating an omni-channel marketing strategy and offering contextual and location-based marketing content to the customers. 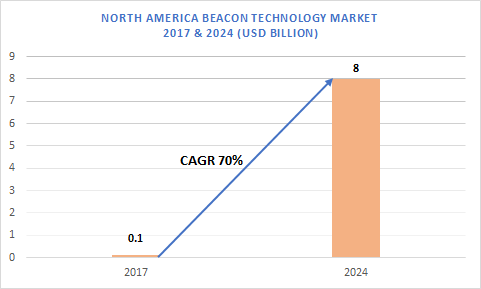 Some of the companies operating in the North America beacon technology market include Google, Apple, Glimworm Beacons, Sensorberg, Estimote, blueSense Networks, Kontakt.io, Onyx Beacon, Beaconinside, Madison Beacons, Gimbal, RECO, BlueCats, Swirl, Texas Instruments, and Radius Networks.